Experimental preview versions are posted, on the back of the Thread! 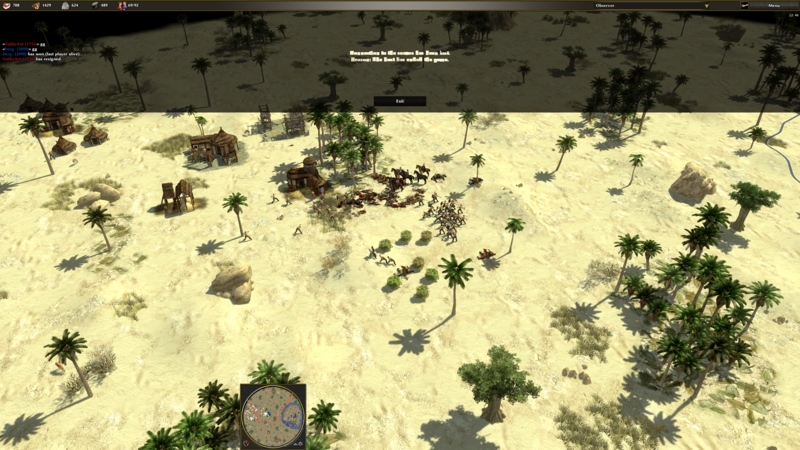 and finally mod compatibility to normal 0 A. D. users. So happy testing and multiplayer game hosting to everyone! 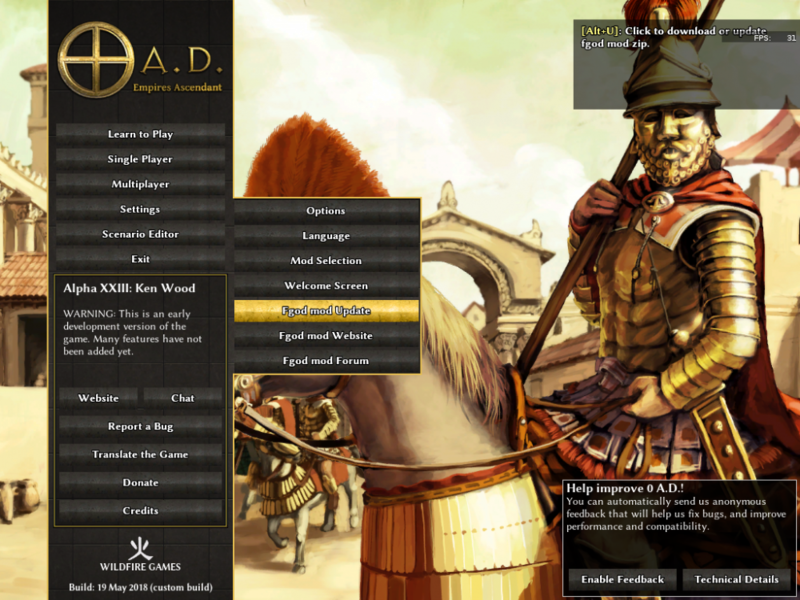 When 0 A. D. opens -> select Green fgod in List -> hit Enable -> hit Save Configuration -> hit Start Mods. The Mod will start and default settings will be setted. Have Fun! 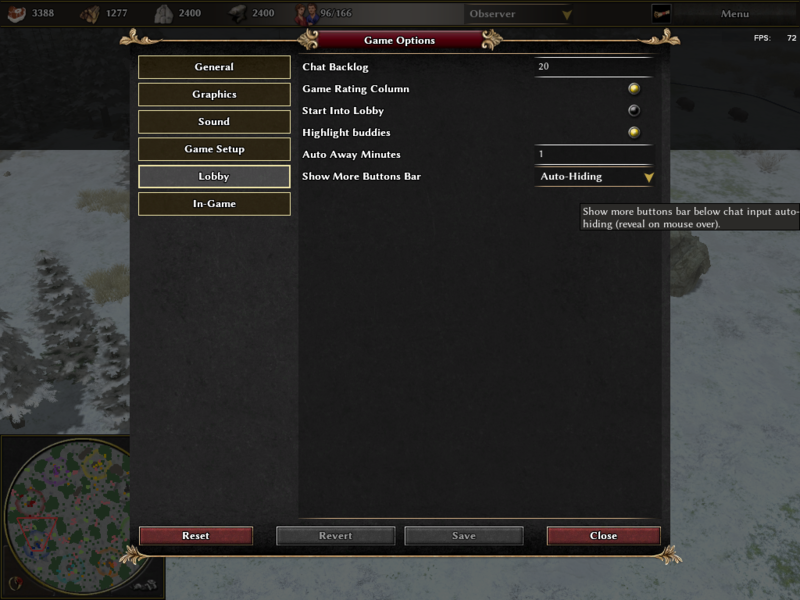 Enable fgod mod in mod selection (settings) hit save and start mods. So you were finally convinced by elexis to make a github for it ? 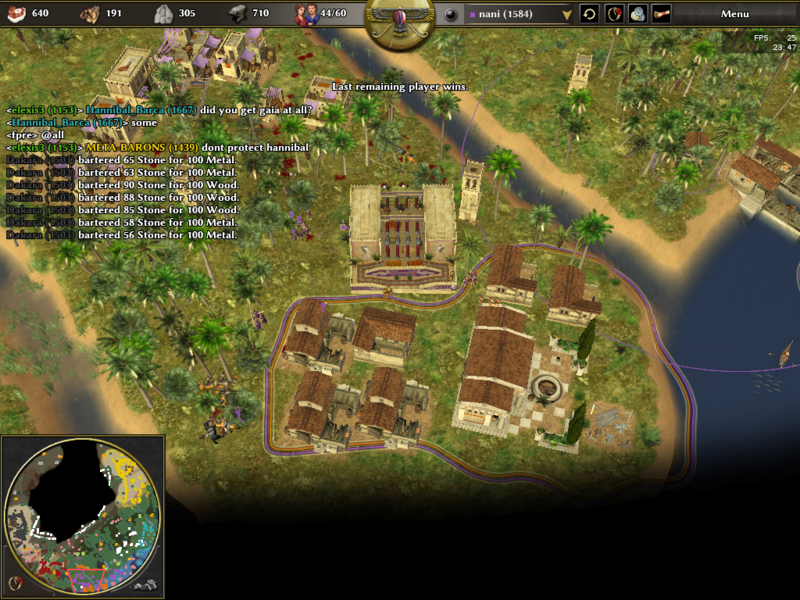 fgodUiMod sounds better, else, people will think it's a mod for cheatcodes. 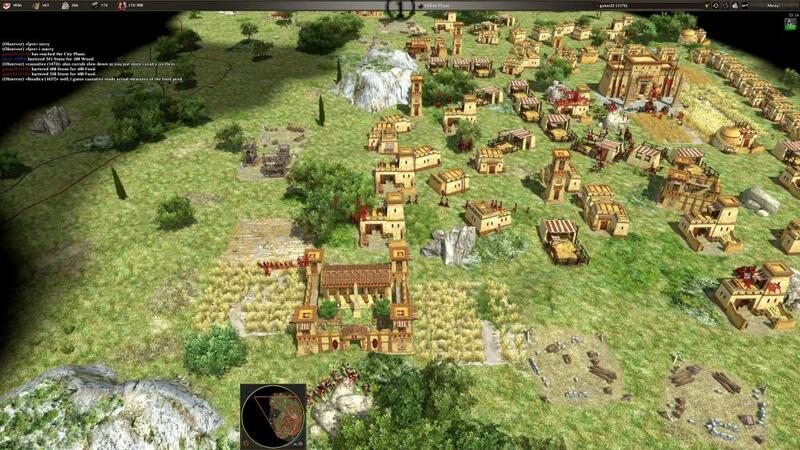 or read paths from https://trac.wildfiregames.com/wiki/GameDataPaths. Mod now loading on every game start. You can see mod is active by having new options in options f.e. 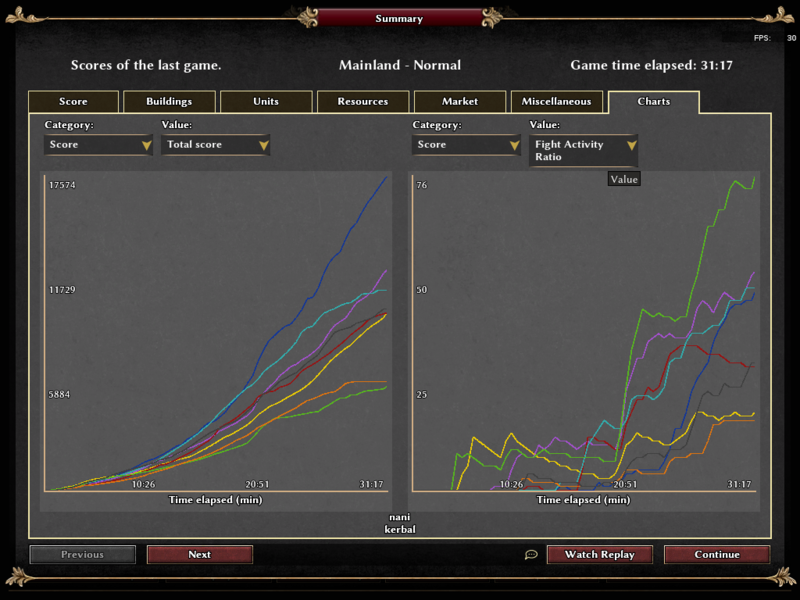 Show stock information from user player and allies when hovering tribut resource in diplomacy window. Go back to previous GUI with Shift+Esc. Start Into Lobby on game start (option). Continue cycle through possible names on tab. Color names in game's chat text. 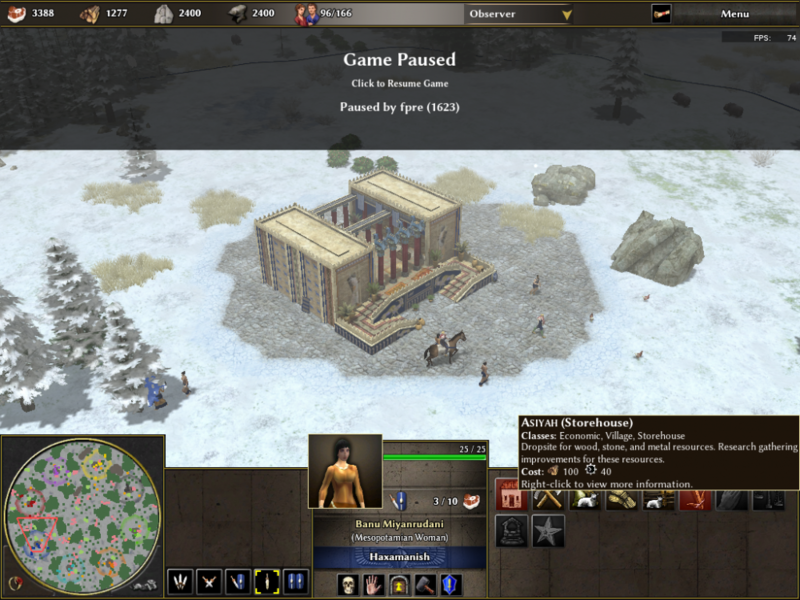 Pause overlay smaller so you can still click game entities and set commands to queue for after unpause. More darken fades when dialog windows opened. Unselect game in lobby when selected player is not in a game. Team total in top panel tooltip and for observer having summed stats and tooltips available when not player selected. Auto complete commands in chats. 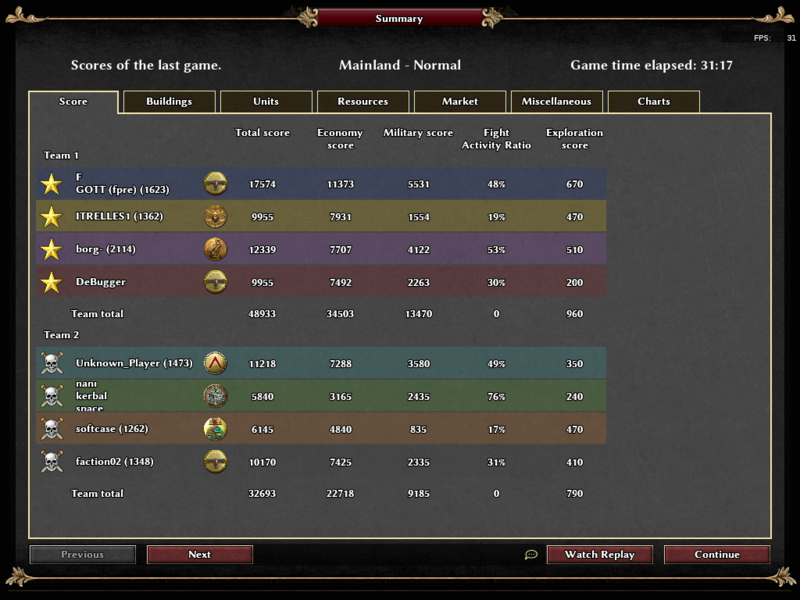 See last summary in lobby hotkey (Ctrl+Tab). Ping Hint Into Game from lobby (sign on menu button and ping sound if enabled user notification enabled in options). 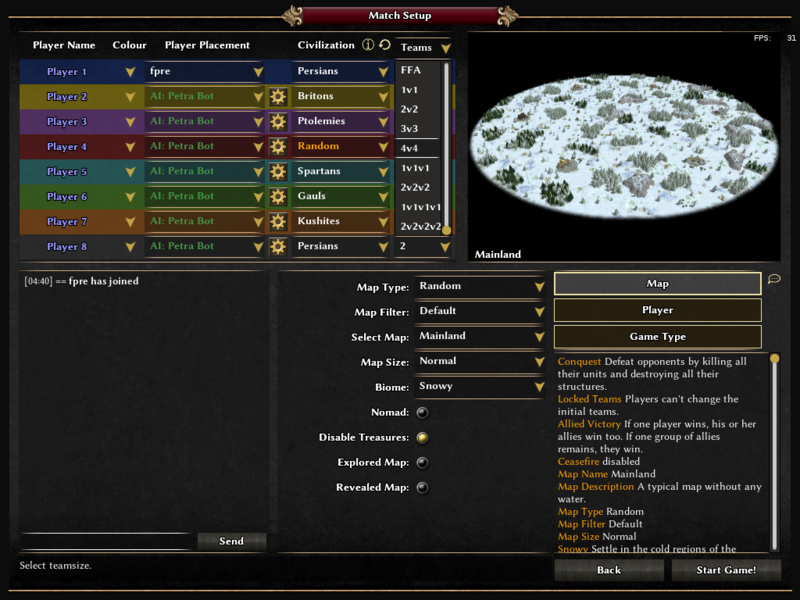 Show buddy players and games in different color in lobby (option). Button for replacing player in game for observers. Different player name for in game (in options multiplayer name). It will be applied when joining to a game. Sort save and multi column sort support in Lobby lists. Player user priored in sorted players and games list when same data in field. Hide profile panel in lobby, when no player is selected, to get a longer player list. (Clear selection with Esc). Show next-, previous-button in replay menu summaries to go through summaries to search. Configurable auto away in lobby after time inactive. Numbers player and games in lobby header on top of the list. Give more buttons in lobby to show options/civilizations tree/replay menu. 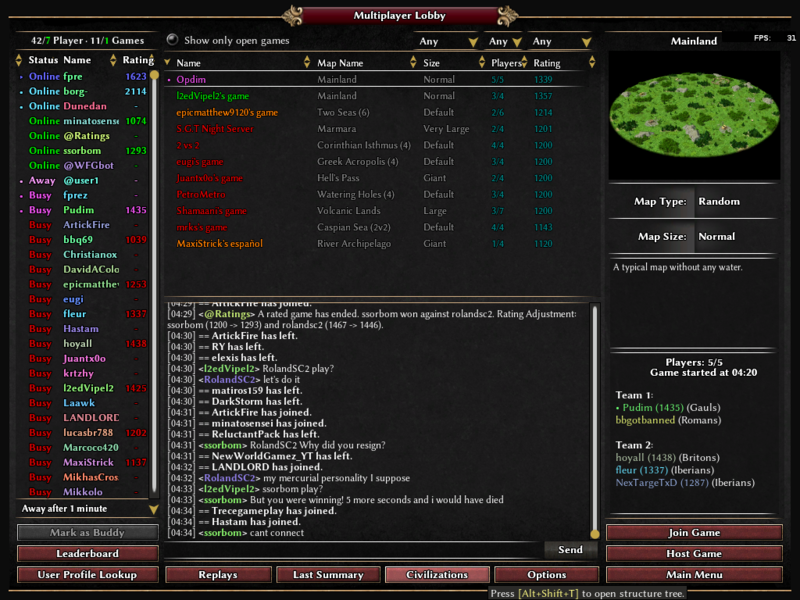 Also starting replays or joining other game from lobby/lobby dialog possible. 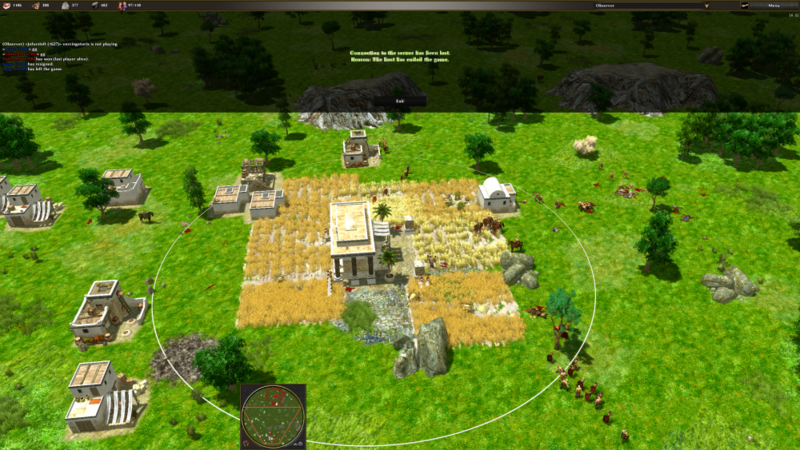 Summary civ icons can be clicked to see structure tree in summary when needed. Remember opened option page ingame when reopen. Allow scroll for tab switch between the buttons in options/summary/credits/..
Set teams configuration in gamesetup dropdown. Possibility to join games in lobby dialog from within other games and/or start replay from within other games. Auto rejoin on lost connection in network multiplayer game. Observer view for clients on multiplayer host end. Rejoin question on kick in network multiplayer game. and gamesetup lobby dialog icon (especially mac users) also fixed. There is something wrong with that text. There﻿ is something wrong with that text. Jep. I will fix it. Does it fix OS X MP games? If it does I will dl it for my other pc. @ffffffff Idk is this just in your mod or general, the logo of ptol went missing in some part of the game. 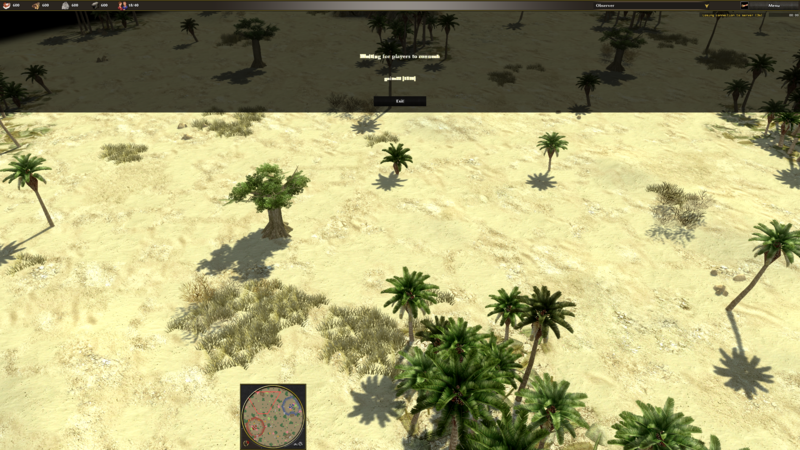 On hotkey "tab" focus text input in replay_menu/lobby. Default chat input focused when open lobby dialog window and on tab hotkey in normal lobby window focus chat input. 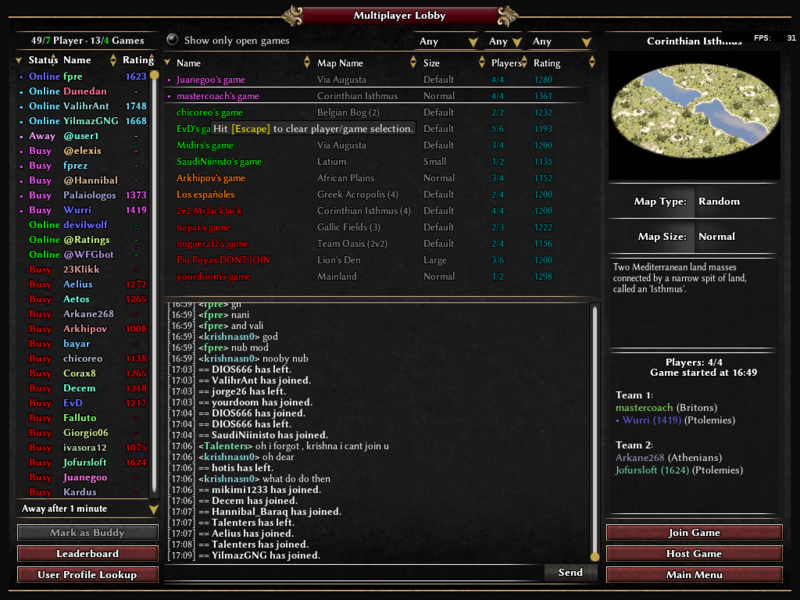 - When opening lobby dialog, the game is automatically selected, where u in at the moment, showing players and info. - Remember last opened civilization in the civilization info in the lobby. - Give the options page a hotkey Alt + O. 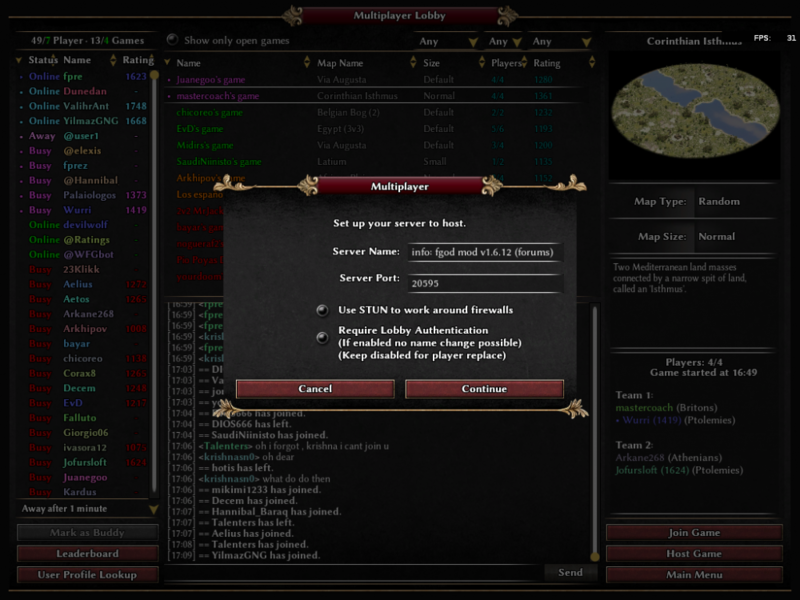 - Remember the host game name when making a new host. it's could be good to be notified if there is a new version. I think we need to check it manually. hm not good stating here?